A) That you’re getting 100% of your FREE MATCHING from your employer because it’s FREE MONEY!! Which is better than NO FREE MONEY, and especially when you don’t even notice the difference of it being deducted from your paycheck! Now with that PSA out of the way, I’ve got a “Would You Rather” for you! We haven’t done one of these in forever, and thought it would be fun to compare YOUR answers here with the ones we got when we interviewed over 200 financial bloggers for a new project over at Rockstar Finance we just launched (details in a bit). Here’s the question below. Give it some good thinking, and then leave your answer below in the comments so we can all ogle at. It’s harder than it first seems! Now remember, think on it for a bit before going with your gut answer! What could you do with all that knowledge?? What could you do with all that cash? Does going after one get you closer to getting the other one too? Are they both equally as important? Now of course, this is *current* me and not *old* me when I didn’t have 1/100th of the knowledge I do now on money, so our own journeys certainly play their part here. Our New Rockstar Project: A Crowdsourced Report (and Directory!) of The Best and Worst Personal Finance Books as Rated by 200+ Bloggers! After letting the words from that killer book, Essentialism, seep in for a while, an idea finally clicked on how I could use my one unique “super power,” as they say, to really do something cool in the space. And not only cool, but also HELPFUL for our entire community! 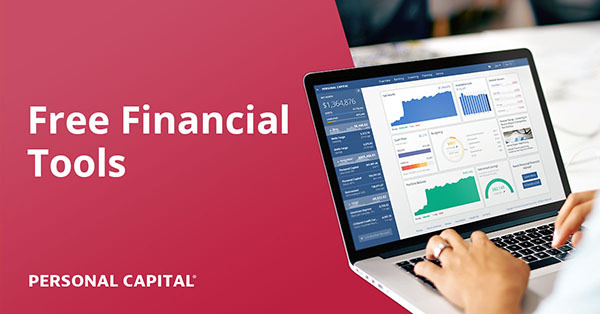 And that was harnessing the collective minds of the financial blogging community to pump out insight on one targeted financial topic each and every month, to give us a SOLID resource from people who love and obsess about this stuff the most. But here’s the second cool thing that came out of it all – not only do we now have this nifty report to scan through, but it also gave us the ability to build out a new directory of BOOKS to compliment our Blogger directory too! So now EVERYONE can access this collective mind-meld of recommendations to better help them in their journey towards financial knowledge. Win-win all around! Our new directory of the best finance books! In either case, I’m thrilled with how our first run went, and I thank EACH AND EVERY ONE of you who participated and made this fun little idea a reality! Please enjoy your weekends out there, and we’ll see you back here on Monday for another riveting discussion on money, money, moneyyyyy! PS: Just like 401(k) Day, that $100,000 note above is also real! It’s a $100,000 gold certificate that was used for government inter-agency transactions back in the day and since retired, bearing the mug of one handsome Woodrow Wilson. It’s also very illegal to own in a personal collection (it was never meant for the public), so if you ever see one in real life it’s either fake or you’re hanging with the mafia :) You can visit one at the National Museum of American History though! That’s a good would you rather. Where I’m at right now, I feel like either would be super helpful. But I think I’d rather have the knowledge. I don’t have the knowledge base that many other Financial bloggers do, and I think it would be more useful to us to have that than the money. The money would be so awesome, but I am going to say that knowledge. Also, I’m really interested in checking out this book collection. We’re always looking for another good book!! As always enjoy the historical bill topics. Any more info on other interagency denominations? I’m in the bloggers who were surveyed so I’ll let my answer re knowledge stand on it’s own. And we thank you kindly for that! This one is easy J$ — I’d take the knowledge over the money. I’ve already read a good number of the books in your directory, but more knowledge is a good thing. That, and $100k would only make a little bump in my net worth… nothing to get too excited about. If this was a sum of $1 million or $10 million I’d need to be a lot more careful in my consideration. Ooohhh interesting tidbit on the bill. Happy 401K to you too — I felt a bit embarrassed when I answered “all the knowledge” instead of “take the $100K” when so many bloggers said $100K. I have similar reasons as Mr. Tako. I’m thinking I can make more than $100K in my lifetime with that knowledge. 51% of the bloggers picked All the knowledge compared to 49% of the Money! The guy with the most knowledge on my team at work was just lured away to another company. He was kind enough to share the details of the offer. $165,000 annually. And he didn’t have anywhere near all the knowledge, but he had a lot! So, assuming this knowledge includes the world of IT and is in depth and multifaceted, and you are able to actually utilize it to solve problems, make plans… On could make that 100,000 back in short order! Only all knowledge from *finance books*, else no way anyone would choose the $100k! Would have to be at least $1,000,000 for that side to be continued I’d think. Oh, that’s what the $$$ part meant, financial? Oh darn, I was thinking all knowledge from all books ever, like how to do surgery and repair all cars and never got lost and, well, everything. Then the $100k. I don’t know everything, but I know enough by now, I’ll take the cash. I originally opted for the books, but after reading your insight and being the frugal person I am, I can invest the $100k and borrow the books from the library or buy them used online. If I didn’t handle the many effectively (aka buying a Corvette), I would opt for the books first. Being the main $$ gal at work, I preach the “free money” mantra to all our employees – it can be an 80% return on your money!!! And I have The Millionaire Next Door but need to reread it since it’s been awhile. I would take the $100k. Not too many years left to work (FIRE wasn’t a thing when I was *ahem* young) so I’d throw it in my retirement account & let it grow until I needed it. Happy 501k to you too! I loved your intro. Very funny! Oh yeah, gotta have the action or all that knowledge is worthless! At this point, I’d rather have the cash, because I could pay off the student loans and credit card debt I accumulated when I wasn’t as knowledgeable about personal finance and invest/save the rest. I have a lot of resources at my disposal to learn more about finances, but the cash at hand could get me completely debt free, save me loads of interest (let’s be real, I can only pay off debt so fast on a librarian salary, though I love what I do), and free up more disposable income to save/invest. Being debt free would be a huge burden lifted from my shoulders. I’d take the $100,000. I already have, and have read most of the books on the list. I have an MBA too. Our personal investment portfolio is north of $4,000,000. In one of our businesses (mortgage lending) we have earned more than 12% on a compound annual basis for over 25 years (in worst year ever we made 5.6% and that year we quit lending in April because of changes to the Income Tax Act). So I’d take the $100,000 and plonk it into our mortgage business. 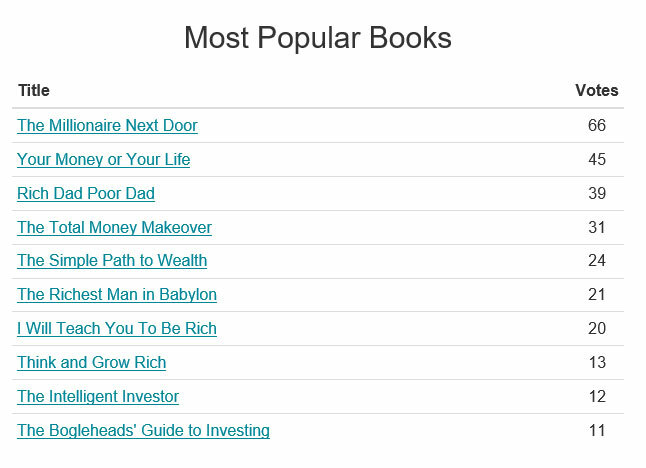 As far as books go, it’s “The Millionaire Next Door” that I find most inspiring. It clarified my thinking (I’d made my first million by the time I discovered the book) and really allowed me to examine my many failures (nearly all of the crap that has been mentioned in your blog I have been guilty of) and what caused the reversal of my failures). R.I. P. Tom Stanley – your book was a real inspiration to me. Amen, man… one of the most influential books on money there is. I would take the money. I’m FIREd and I’ve already read many PF books. The answer to this question really depends on where you are in life and what your financial discipline is. If you obtained all the knowledge in the world, but you don’t have the discipline and motivation to use them, then those knowledge are wasted. It you get the $100,000 and you don’t invest it, instead you spend it all, then it’s also a waste of your free opportunity. For me, I don’t need to make a choice, I will try to obtain both. I already got my $100,000. I am now using the knowledge that I obtained to multiply that money further. Just have to multiply it another eight times. As others have written, without those books, I would have what I have today. Since I read most of them already, I will take the $100k. Great job on the list and on-going projects! Was just in the American History Museum a couple weeks ago and didn’t look for/see the bill. I will need to next time!!! The bill is within the National Numismatic Collection inside there where all the rare coins are too, *drool*.. I took the cash… I feel like I’d get overwhelmed with the knowledge, but I know enough right now to make wise choices with a $100K windfall! Knowledge for sure but hopefully going beyond just financial concepts. 100k while a lot of money, won’t move the needle like it used to. I would take the knowledge, hands down. I’ve read many financial books, but I couldn’t get through some of them. Some are too technical and some are too boring. Analyzing stock for example is still very difficult for me. If I can magically know how to do that better, then it’s worth much more than $100,000. That’s just one thing. Reading a book doesn’t mean understanding the concept completely. I really need to go back and read some of these books again. $100K because if you have read 3-5 PF books you pretty much have read them all anyway. The 3 I thought were good are Your Money or Your Life, Early Retirement Extreme, and Simple Path to Wealth. Your Money or Your Life is the one that had the most impact on me. I think It was the truth of the message coupled with where I was at mentally and financially when I first read it. I can see that… I think most people go with one of their first books read too as their favorites because it’s at the point you know the least so it has such a bigger impact on you. I’d pick the knowledge for sure. Having all that info is probably worth millions. Think about all the time saved too, that alone may be worth $100K. Love the idea of polling personal finance bloggers! If you need another one, let me know. I would say all the knowledge. The answer is based on how long it takes to make more thank $100k. I feel that with additional knowledge it would be possible to make more than $100k very quickly. However if I was to take the lump sum $100k inwould invest it the same way I do now and it would end up taking years to double. With additional knowledge I would end up doing even better. I’d take the $100,000 since I’m close to retirement and that much money would reduce the time I need to work, giving me all the time I need to read some of those books on the list (and a mystery or two as well) that I haven’t had time to get to. What an Interesting way to frame the question. I’d choose the knowledge. But that may be because I’m out of debt and have a solid cushion. These days I read for fun, so having knowledge wouldn’t mean I had already read the newest chick lit book or sci fi. The one downside reading for knowledge is that one would find it fairly haunting. I’ve read enough about the Khmer Rouge to know that a whole book on the topic would give me nightmares. Imagine having every book ever written on the Khmer Rouge in your head. And Congo atrocities. And the Boer War. And Nazi war experiments. And Japanese torture of pretty much all of Asia. Yikes. (Clearly I’m already haunted by the stuff I already know about). Sorry to go all dark there. I’m worried about Irma so my thoughts are a bit negative. Feel free to delete my comment! Ah, it was just finance knowledge, not all knowledge. My bad! I’d take the money. I would take the money right now. I have enough knowledge to make some great choices with it. Pay off the smaller student loan and all CC debt. Fully fund EF and the rest would be a down payment on a tiny condo, because with one student loan paid off my DTI would be in a range that felt healthy to me. The condo size I want would allow for a mortgage that is less than my current rent. I could permanently reduce my expenses and go back to having a bathroom I shared with no one that I didn’t love. I took the money. I’ve already read a lot, would continue to read more and would grow the money. I enjoy money but there are other things I’d rather have all the knowledge about. $100K…It would help me towards my goals of being debt free…in fact, when I received a signing bonus from my new job (not quite 100k but a pretty good sum of money), I swiftly paid off my wife student loans that were sitting at 6% interest. As for knowledge, for us reading your blog we will seek it. For the lottery winner who never cared about money, maybe knowledge would be a good place to start. Your wife married a nice husband!! Hey J.money how are you today? This is a fantastic article and it was very interesting to think about what I would do. Personally I feel the knowledge I would gain from all the books would make me way more than $100,000. Everyday in my business I seek knowledge to better that business and this increase my income ten fold! Knowledge is power :) Have a great day! I’d take the $100K! After all, isn’t investing and getting to FIRE supposed to be simple? “Shockingly Simple Math…” “Simple Path to Wealth…” I don’t know if you need *ALL* that knowledge, just index funds and time! Love that you polled all the bloggers about the books! I haven’t read most of them, but I love Jim Collins, so his book gets my vote. I think most of us are already well on our way to FI here… MY question to bloggers about books is: Which book do you think would be best to give to an 18 year old to get them started on the right path? Which book would hold their attention the most at that age and stick with them? I would go for Ramit’s I Will Teach You To Be Rich if they like to be entertained a bit while reading, or David Bach’s Automatic Millionaire if they just want to get in and learn and then start *taking action*. Although both books give specific tasks to get you going which is nice. I’d take the $100,000. I know what that is and how it works, and can use it. I love reading and books, but they don’t give me ability and they can’t tell how to get the instinct(s) of *how things work*. I do have some of those, and applying them maximizes the value of that $100,000. I’d take the $100,000 because I already have enough knowledge to not completely waste it. I would use it to pay off debt and invest. I can always read more books and redirect the money as I learn. 100% knowledge from books! It would be like being the finance equivalent of dude from the film/book Limitless! While I do enjoy reading about financial issues there are also a million other topics which I’d like to read around as well. So it would be nice to just instantly knock off the finance category in one hit like that. I would definitely take the knowledge. I am a nerd. I like knowledge more than money. And I could then turn my attention to other things to read, use the knowledge I have learned to earn more money, and pursue other interests as well. The $100K so I could pay off my grad school loans, as well as the rest of my degree, and invest the rest. Put me in the $100,000 camp. All that knowledge sounds great but its kind of redundant at some point. You don’t need to know EVERYTHING to manage your finances half decently. You just have to know enough. In my opinion the average person could read 5-10 good personal finance books and be well on their way to a better financial life (assuming they put that knowledge into action, which is a whole other issue entirely). Next post: Reader Question: What To Do With A $100k Inheritance?